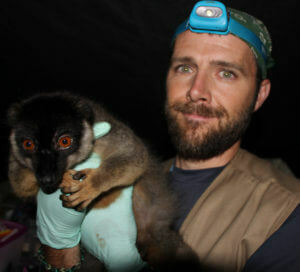 Mitch Irwin has won a new grant to study the diets of lemurs in Madagascar. NIU anthropology professor Mitch Irwin recently won a $19,500 National Geographic Society research grant to support a year-long nutritional profile of arguably some of the cutest critters on the planet—Madagascar’s famous lemurs. Isolated from other land masses for tens of millions of years, Madagascar, an island country off the southeastern coast of Africa, is well-known for its spectacular varieties of lemurs, which are found nowhere else. The primates are also the most endangered mammal group in the world. Irwin specifically is studying brown lemurs and sifakas. Irwin said the dearth of data is an acute problem among primates who typically have diverse diets, and the research will help improve the understanding of how environments limit populations. 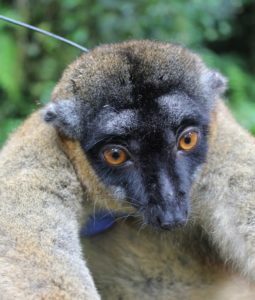 In addition, the information will aid conservation efforts and contribute to understanding the lemurs’ unique behavioral characteristics. 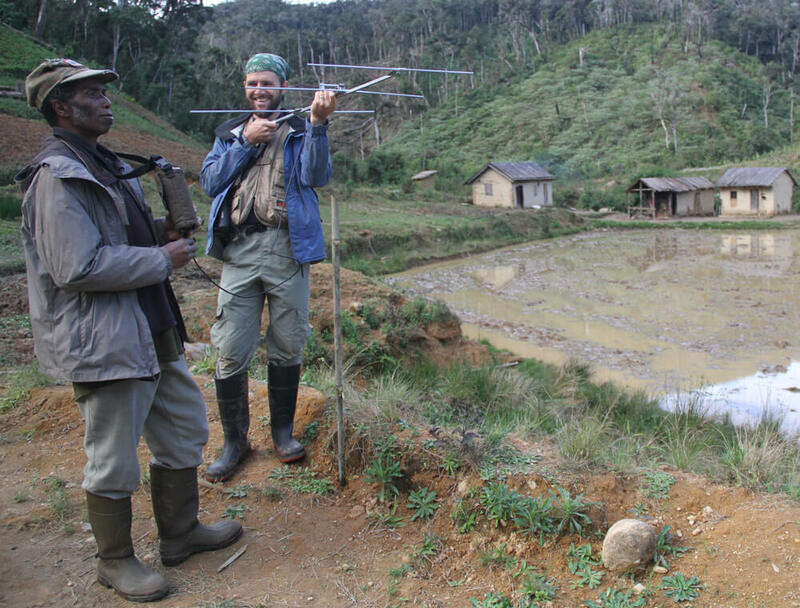 For nearly two decades, Irwin has been conducting research in Madagascar. Along with his wife, NIU biological sciences professor Karen Samonds, Irwin spearheaded the creation of Sadabe, a non-governmental organization based in Tsinjoarivo, Madagascar. The NGO aims to develop innovative ways to promote environmental health and the healthy coexistence of humans and wildlife in the region. This female brown lemur was caught by Irwin and fitted with a radio-collar to track her group’s movements. Next fall, Irwin will be in New York at one of the world’s top nutrition labs to analyze plant samples collected so far. 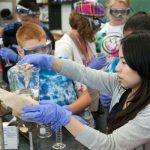 The combination of field data and lab analyses will most likely result in Irwin authoring several articles and collaborating with other researchers’ writing projects. 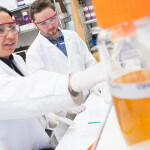 In turn, the research grant will benefit Huskie students in several ways. 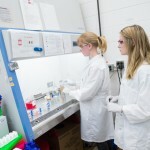 Funding from an NIU Research and Artistry Grant also will contribute to the development of lemur nutritional profiles.